Sina Finance carries a long and excellent analysis of Wanda Cinema’s re-submitted IPO document, written by Enterprise Observer newspaper reporter Zhu Lin. The article raises several pertinent question about the IPO of the world’ largest cinema chain, which also controls AMC in the US. The article is in Chinese, but is worth reading in full in the Google translation (or read the original here) to better understand this important listing and company. There is too much covered in the article to regurgitate everything in this piece, but a few interesting nuggets are worth highlighting, not least the family connections underpinning the ownership and control of the company, as well as future challenges that it is likely to face. The initial application for listing on the Shenzhen Stock Exchange in July this year was refused on account of “insufficient information” in the IPO prospectus document. Wanda has thus had to submit additional information, some of which makes for very interesting reading. According to the document the Wang family, headed by Wang Jianlin, controls 71.4% of Wanda Cinema’s total equity, meaning that they exercise complete control over the company, and will continue to do so even after the IPO of no more than 60 million shares. Prospectus shows Wanda Wanda Cinema controlling shareholder investment, holding 68% stake in Wanda Cinema. Wang Jianlin, Hop Hing Investment Limited by Dalian Wanda Group and the Cultural Industry Group Holdings Wanda indirect investment, the actual controller Wanda cinema. And Wang Jianlin, Wanda Cinema son Wang Sicong currently holds 500 million shares, accounting for 1% of the total share capital, Wang Jianzhong Wang Jianlin brother, Wang can, WANG Jian-chun and ??? 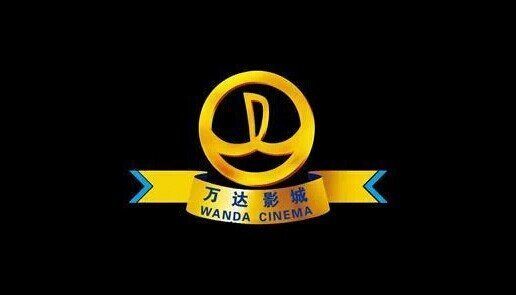 each hold 0.6% stake in Wanda Cinema. Wang’s son Wang Sicong four brothers plus five people, accounting for 3.4% of total share capital before the issue Wanda Cinema, plus the 68% stake controlled by Wang Jianlin, Wang’s family holding up to 71.4%, the realization of Wanda Cinema’s absolute control. It is clear that the listing will thus make Wang Jianlin even more of a billionaire while also making his close family very wealthy. At an IPO price of 33.33 yuan per share, the market value of Wanda Cinema would be around 18.7 billion yuan (USD 3 billion), giving the Wang Jianlin family a stake of 13.35 billion yuan (USD $2.18 billion) with Wang’s four brothers earning around a billion yuan each (USD $160 million). So the IPO is a profitable family affair. In this connection, the prospectus also suggest that when the interests of the actual controller, the interests of the controlling shareholder and other shareholders are not exactly the same, the actual control, the controlling shareholder may use its controlling position on the major issues of the implementation of the Company to control or exercise significant influence . The article details how shares have been sold and distributed to outside investment groups since the company’s founding in 2004, including Beijing Zhaode Investment Co., Ltd., Wang Sicong, (Tianjin) Equity Investment Fund Partnership Enterprise, SUN Xi and others. The article marvels how family members got to buy into the company for one (1) yuan each – that’s 1 yuan in total investment, not per share – while outside investors paid 12 to 15 yuan per share. Remarkably, when Wang Jianlin Wang Jianzhong, Wang can, WANG Jian-chun, Wang Jianchuan transfer of shares and the controlling shareholder investment Wanda Wang Sicong transfer of shares of the total price are 1 yuan. In other words, she had four brothers and Wang Jianlin son spent a total of five yuan to acquire a 3.4% stake in Wanda Cinema. And Wang Jianlin, Wanda investment was 12 yuan / share and 15 yuan / share for Brilliant Yuanda (Tianjin) Equity Investment Partnership, such as different prices for sale of shares of the transferee. Beijing Venture Capital Co., Ltd. shares seven points architect [Chinese character] enterprise Observer newspaper reporter said that in addition to the listed companies as well as to state-owned assets, our law firm for the equity transfer price does not strictly limited. In general, if not for illegal purposes (such as tax evasion, etc. ), the equity transfer price can be negotiated. So as long as it is not for illegal tax evasion, you can negotiate yourself a sweet deal where a 1 yuan investment ends up getting you a stake worth a potential one billion yuan post-IPO. But it obviously helps if you happen to be a close relative. The article then looks at how Wanda Cinemas came to be China’s biggest exhibitor and the close ties between the cinema and real estate business. It is critical to think of Wanda primarily as a real estate company (both for this and the AMC deal) and only secondarily as a cinema operator. Real estate informs and underpins everything the company does, whether cinema or a planned USD $8 billion theme parks and movie studios. As such it is important to understand the correlation between Wanda Cinema and Wanda real estate, to grasp the prospect for the post-IPO company. The article lays it out in very clear detail. Prospectus, as of June 30, 2014, Wanda Cinema has opened 150 theaters in 89 leases Wanda commercial real estate property, accounting for 67.48% of the operating area of the theater. In recent years, Wanda Wanda Cinema dependance on commercial real estate has become more and more serious. Data show that in 2011 and 2013 and from January to June 2014, to Wanda Wanda Cinema rental fee paid by commercial real estate transactions accounted for similar proportions were 56.71%, 66.59%, 67.60% and 68.64%. During the same period, to Wanda Wanda Cinema Cinema subordinate commercial real estate rental housing will occupy an area of cinema operators proportion exceeded 60%. Whether it is accounting for rental costs or area, year by year the state were tested. In this regard, Wanda Cinemas, said that from July 1, 2012, the association property rentals horizontal adjustment from 10% to 11%, and non-affiliated theater decade reference level of rent adjustment rent levels associated with the theater. Data show that many theater rent tier cities in China has reached about 20 percent of the theater box office revenue, and some even more than 25%. The cost of real estate for cinema is thus going up. Wanda can get a better deal than many others, but it too cannot sustain this level of increases over the medium-to-long term. Reversely, when a correction happens to the Chinese real estate bubble it is likely to hurt the larger Wanda business in a way that will also have negative repercussions for the cinema business, rather than theatres suddenly benefitting from lower rents. Insiders said that related party transactions and Wanda Wanda Cinema commercial real estate is a double edged sword. Together with the rapid expansion of Wanda Plaza, let Wanda Cinema done quickly to seize the resources of China’s first, the formation of industry the right to speak, and then takes all the upstream and downstream industry chain. This bundle is also a risk of loss or declining – if Wanda Plaza, poor flow naturally a serious drag on Wanda cinema. So why the reason for the IPO, other than to make several members of the family very rich and able to cash in their paper wealth? The IPO prospectus, as of June 30, 2014, states that Wanda Cinema in more than 80 cities across the country have already opened 150 theaters, 1,315 screens. Even so, compared with its competitors, Wanda Cinema on the terminal layout nor has obvious advantages. The fund plans to raise 2 billion yuan, the 400 million yuan used to supplement working capital, 1.6 billion yuan for theater construction project, will build 50 cinemas in Shanghai, Chongqing, Dalian and other 43 cities, plans to completion by the end of 2016 Cinema 260, the screen over 2300, an increase of 83% compared to the end of 2013. 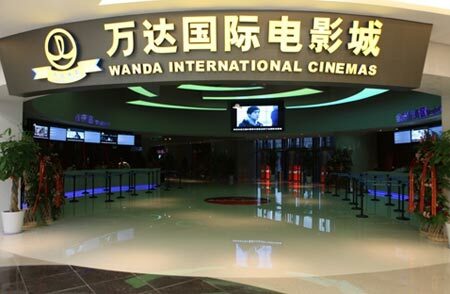 In fact, as early as August 2012, Wanda will once prices $ 2.6 billion, the acquisition of the second largest US theater chain giant AMC, completed a preliminary layout of the film and television industry; September 22, 2013, Wanda invested 500 billion in the construction of the film base was officially launched in Qingdao, Dalian Wanda in which to invest in terms of movie studios will reach 30 billion yuan. Yet industry observers are questioning whether this speed of growth is not ahead of what even the growing middle class in the Mainland can absorb in terms of additional seats and screens in saturated urban areas. But it is the cities in the second, third and particularly the fourth tier that are causing the greatest anxiety about Wanda’s future prospects. On the one hand is the expansion of the funds brought hunger, on the other hand, some three or four lines of Wanda cinema is experiencing serious losses. Prospectus, as of June 30, 2014, a total of 98 Wanda Cinema wholly owned subsidiaries and a holding subsidiaries, including 15 subsidiaries in the first half of the year was a loss. Where the most serious losses Weihai Wanda Film City Limited, a loss of nearly 1.5 million yuan in the first half of this year; followed by the city is Xuyi, Chenzhou, Manchuria, in the first half losses were 1.3717 million yuan, 1.047 million yuan, 75.41 million; Zibo, Texas [?] and Changbai (16.27, 0.26, 1.62%) Wanda Cinema in the 2013 loss of 2.396 million yuan, 2.1461 million yuan, 2.0966 million yuan. It should be remembered that while Wanda is the largest it is by no means the only or most aggressive chain, with competitors like UME nipping at its heels and trying new innovations to attract audiences (see yesterday’s China Cinema Digest about the Hello Kitty themed auditoriums). While this may not be something that Hollywood wants to hear, it may be that the golden years of Chinese cinema expansion may already be behind it (as we have warned before) and that Chinese box office will not overtake the US within as little as three years, as many have predicted. The article ends with a sensible ‘caveat emptor’, will still acknowledging the business acumen that has led Wanda Cinema to this point, something that should never be underestimated or forgotten. Like the United States, Chinese cinema industry is facing a potential duplication and excessive centralization of supply and demand brought about by investment imbalances. Yi En Consulting announced this year’s film market statistics show that China’s average daily 18 new screens, while the average attendance was only 15 percent per theater. Cinemas in the increasingly intense competition in the market, how to solve the contradiction between capital-hungry and losses, will be a test of wisdom for Wang Jianlin. It remains to be seen if China can learn from the spectacular cinema crash in the United States in the early years of last decade or whether it will repeat the same mistake. The cinema business both in China and globally would be better served if it does not go down the same path.